Hello Friends, (This Post is now OBSOLETE, the new models are no longer appropriate, and ASV are bringing them in in the old body style and Petrol..
Look, there is nothing wrong with the 200 Series, but by the time you upgrade the suspension, then upgrade the towing capacity, it gets expensive. Here is a vehicle about the same size, with the advantage of being a ute with a bed.. 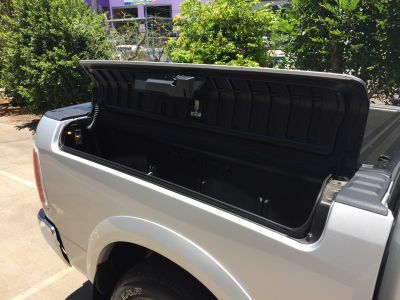 I mean the wagon is OK, but nothing beats the advantages of a ute with an open bed or a canopy on it. 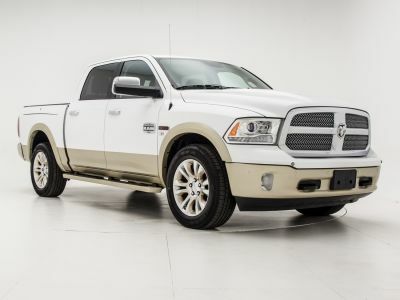 This alternative is only about a foot longer than the 200 Series, the Dodge 1500 Ram, offered by SCD. This vehicle comes with more interior, bigger brakes, better towing capacity at 4.2 tonnes, I really think it is worth considering.. 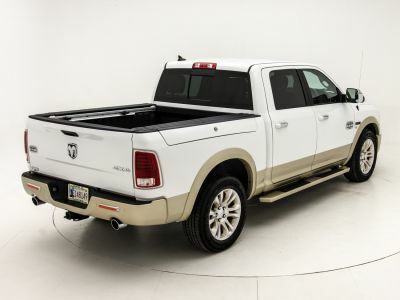 It is my job to bring these options and ideas to you, and this Dodge 1500 Ram is an option that can come back to the city living when not in use as a major tow vehicle. 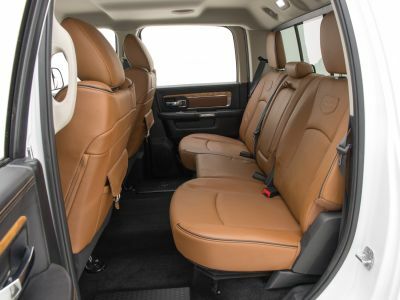 It is the same practical size as the Landcruiser, only with some advantages. It can get better fuel economy, priced about the same as a Sahara, and comes able to tow 4.2 ton.. Worth a look, at SCD, with the same fantastic Service..
Look, here it is in underground parking in Brisbane in 200 Series country..
For any of you that are really interested here is a link to see a video by SCD in Brisbane, a little more about it in a well done video link. I see it's a V6. Yours is an inline 6 isn't it Steve? So basically the engine is 3 cylinders long instead of 6. There's some savings in the length. This Dodge 1500 is a direct competition or replacement or alternative to City dwelling requirements of the 200 Series Landcruiser... I do not suggest it is in the same league or an alternative to the larger Dodge Cummins Diesel 2500 HD. 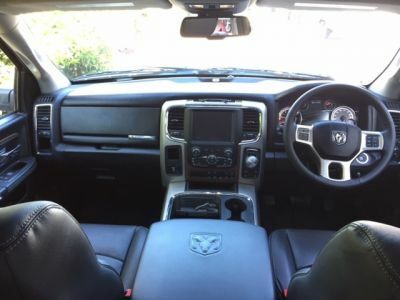 This Dodge 1500, is a luxury car ute, a more utility luxury vehicle that is an alternative for those living in the city that want an everyday driver as well as a Bushtracker Tow Vehicle. This is more of a car. The Dodge Cummins Diesel Ram is in a whole different category, longer, stronger, but a specific tow vehicle, designed for about 5-6 ton towing capacity. They are two different types of vehicle. I would not compare them. This more of a contrast to the 200 Series, for an alternative that has the truck bed. It is smaller and I do not suggest that it is any replacement for the much larger truck variety of the 2500 and 3500 HD Dodge Cummins Diesel. OK? Further to the comments already made on the Ram 1500. 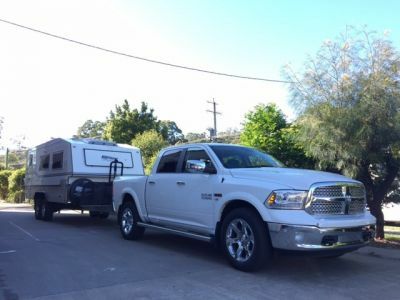 We have used a Ram 1500 to tow vans to the Adelaide, Melbourne & Gold Coast shows earlier this year and it proved to be similar in capability towing (overtaking etc) to the 200 series, but felt more stable on the road. The big benefit over the Toyota diesel is the fuel economy when towing, we averaged over 5,000kms towing just over 16L per 100km, when towing at the speed limit (100-110km/h). 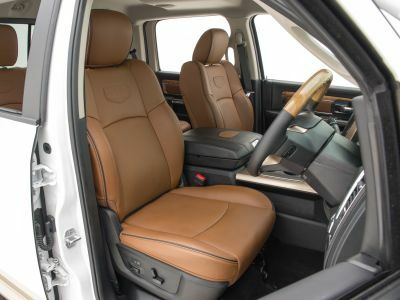 The 1500 Ram has the same power and torque as the 200 series, is cheaper than the Ram 2500 by 10-15k, shorter in length, and can be fully serviced by Chrysler Jeep dealers (has the same V6 VM Motori diesel engine and 8 speed ZF automatic transmission as found in the current Jeep Grand Cherokee). The big plus is that it has a rated 4.2T braked towing capacity. 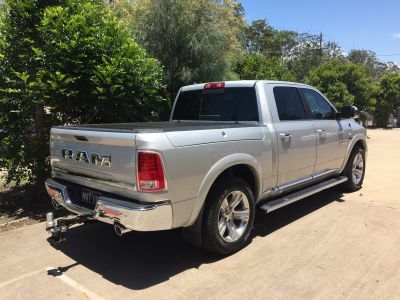 Now, to be clear, the Ram 2500 is still a better towing vehicle with the Cummins 6.7L diesel, but if you live in a metropolitan area and the 2500 is just too big? 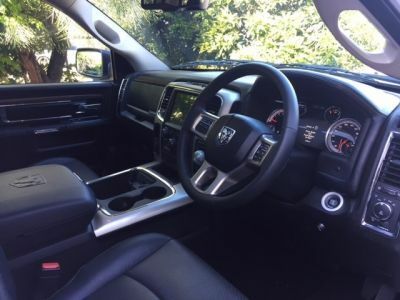 This is a great alternative to the Land Cruiser 200 series, and the same size only more capable and a ute! 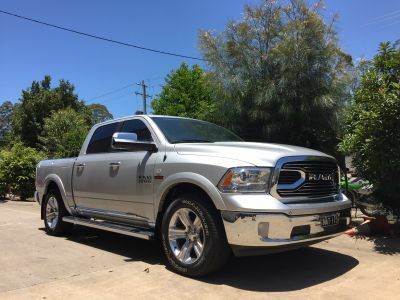 I will be towing a van to Melbourne for the Leisurefest at the end of this week with a Ram 1500 that SCD are lending me while I wait for my new truck so will give another more detailed report on how it goes in the next few weeks. Matthew just took Delivery of his new Ram 1500.. I must say I am impressed. 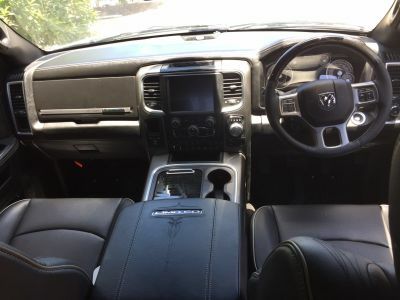 It is a ute styled luxury car. I mean if anyone was thinking of a Sahara, this is worth looking at for the same money.... 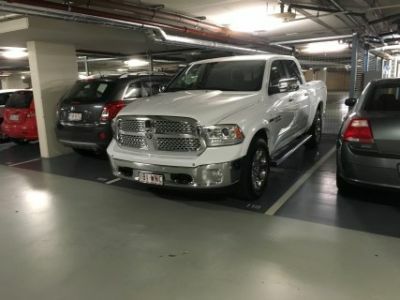 It is better than a Sahara in just about every way, drives as nice, looks better IMO, 4.2 Ton towing capacity, and has the ute benefit of the bed.. All in about the same parking length?? I just completed a return trip to Coffs Harbour delivering our new 20 foot show van for 2017 to ABCO caravan services. All in all, so far I am very impressed with the smaller RAM. 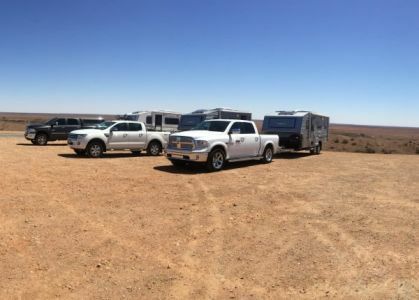 Continuing on from my previous postings, I have another economy report after having completed a round trip exhibiting the Bushtracker caravans at the Adelaide, Melbourne and Gold Coast caravan shows. To put this one in perspective, I was towing my own personal Bushtracker weighing around 3,700kg give or take. We suffered some pretty extreme conditions including two days of severe heat where the outside temperature reached 48 degrees. We also encountered a couple of days of very strong head winds which can also affect economy figures. The other point to mention, is because we are on a pretty tight time frame, we pushed the vehicles hard on the hills (not slowing down) and also stuck to the speed limit, which on many occasions was 110km/h also affecting economy. 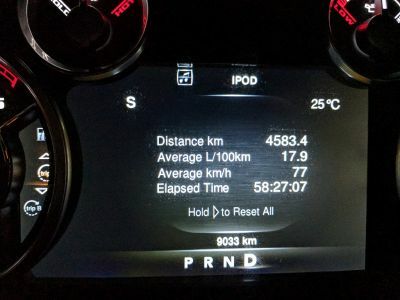 I reset the trip meter on the first day and over the entire trip of almost 4,600km and 58 hours behind the wheel, the average reads 17.9L/100km. Not bad considering the conditions. Again, to re-iterate my earlier comments, I still do not see this vehicle as a replacement for the larger 2500 series RAM (or similar) but more a suitable competitor to a 200 series Land Cruiser and has a higher towing capacity. Interesting numbers Matt, my (now ex) Sahara certainly would not match that towing a 3.7t van, it would be closer to the 20-21 mark if i was pushing towards 110km/hr. Do you have the numbers for the other tow vehicles that accompanied you on this trip (purely out of interest) ? Hard to find a 1500 Ram diesel. What are thoughts about the latest petrol Ram. I like the idea of it being a bit smaller than the 2500. No to the F-150.... The real towing truck starts at the F-250. The F-150 is a Girl Friend shopping car for going around town..
And for that matter why get a half a truck in the RAM as well... ??? The real tow vehicle starts at the 2500 with the big 6.7 Cummins engine. Need to save a little money? The Nissan Titan is a better truck IMO, V-8 Cummins, the best tow truck transmission in the world the Aisin Transmission, all around better... I have the big Aisin Tow Truck transmission in my Dual Rear Wheel Dodge Ram 3500 HD Mega Cab, because I have a big 23' overloaded Bushtracker, and large Horse float. 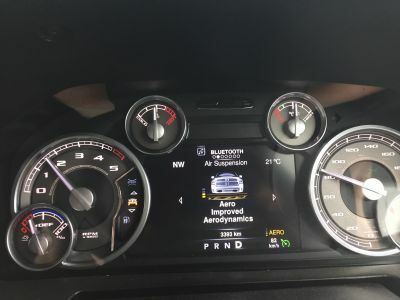 It has the Aisin as well: Positive shifting without the torque converter slip, positive Engine Brake, major control in the Tow Haul mode with two levels of engine brake.. Smooth, smooth, smooth.. 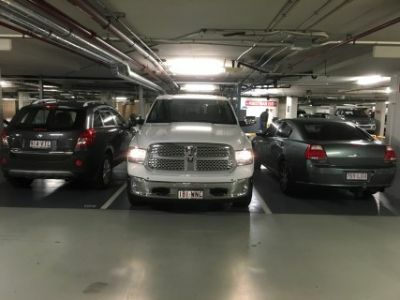 The Dodge Ram 1500 is much like the F-150... Cheaper: But if money is not the issue, again the Dodge Ram 2500 HD with the 6.7 Cummins diesel is still better yet.. I understand all of you are saying Steve. 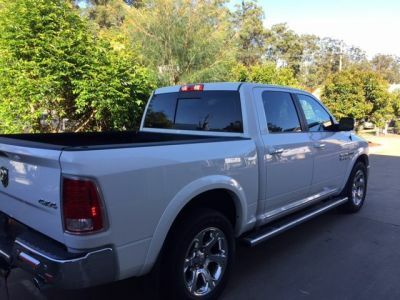 The situation is that I am looking for a smaller unit than the Ram 2500 or the Nissan. Money is not the issue. I have a situation where we live in two houses and our Perth apartment does not have enough room under the building for a large unit. Parking out front is hit and miss. Problem I had when I had the Chevy. It ended up sitting in the shed down south and only used when we took the caravan out. 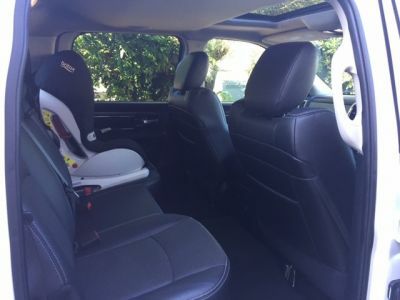 The other is that my wife found it too difficult when we propped for any length of time ( Broome ) to use and ended up hiring a small car so she could do her town trips without me having to drive her in. I am happy to just leave it in the shed and use as necessary but her ladyship has this problem of driving a monster truck to town. 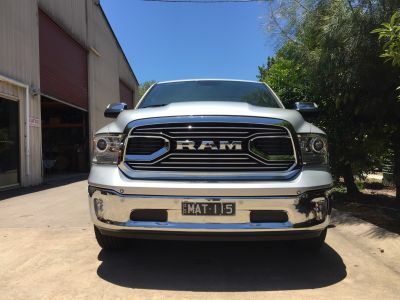 Matt’s trial of the Ram 1500 was written up as a compromise vehicle . That is out of date now. I cannot remember, but call SCD as there is a lower compromise out on it now. Engine, or what, I cannot remember. 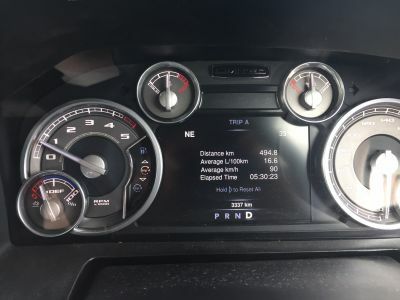 Also note: The Nissan Titan is stronger, Nationwide Service with Nissan, V-8 Cummins, Aisin transmission, all better and stronger for about the same size.. Call SCD and get the latest OK? I have forgotten what it was, but there was some downturn with the 1500, just like the F-150. 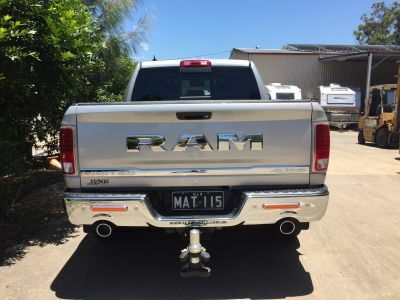 ASV are now doing the ram 1500 in PETROL and in petrol, IMO it does not belong in the Outback, big advertising blitz coming, but a city vehicle IMO. They are advertising big for the current ram 1500 with aspirations to sell 4000 per year. These old Rams are going to be built out of the old factory in America, the old model style, and beside petrol, I don’t know why anyone would want to buy the old model. 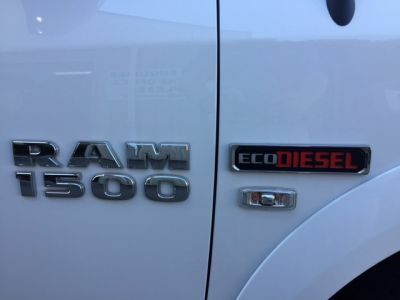 The new Ram 1500 offers the new E Torque system with the 5.7 litre v8 petrol and being a hybrid, again I do not believe it is suitable for the Outback.. SCD says they are going to do the new ram 1500 and expect to ride the advertising wave that ASV will be doing for the old ram 1500. There may be a Ram 1500 coming eventually with a 3.0 litre diesel, but that again is not a tow vehicle IMO.. The new Ford F-150 will have a baby 3.0 l diesel as well, again not an Outback tow vehicle IMO In My Opinion. SO if you want to tow seriously the only option in the smaller size tow vehicle comes back to the Nissan Titan XD which has all the power that you will need as it has a 5.0 L V8 turbo Cummins Diesel in it. It also has a good tow package with the positive shifting Aisin transmission, the best available. 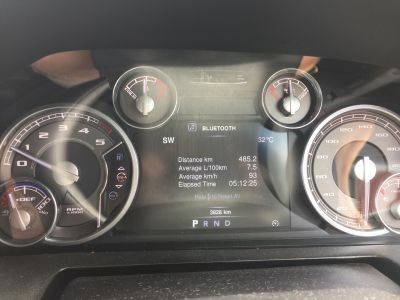 I have the Aisin in my Dodge Dually, 3500 Mega Cab, a Super Truck with about a 13,000 kg GCM, too much truck for most Bushtracker Owners, but the Aisin is smooth, smooth, smooth power transmission and a positive Jake Brake feel engine brake.. Anyway, I think the Dodge 1500 and Ford F-150 are now degraded to town trucks, girl friends shopping ute... I just don't think petrol is the way to go in the Bush. For example I get reports of the Toyota Tundra (petrol) towing a Bushtracker at about 30-33 litres per hundred... To carry enough fuel to get across large gaps would make you a fire bomb in an accident.. Your investigation is immaculate. That is what I was as told as well re Ram 1500. Petrol/ Hybrid. Too dodgy for me . Where on earth would you get a fix in some isolated place. Also, it is lighter than a Landcruiser, which not ideal. Back to drawing board. Will check again but by what I see the Ram 2500 is shorter than the Nissan. Are you saying they are not doing any current Ram 2500 for another 2 years. Thanks again for putting it straight.